A public servant charged of criminal misconduct thereunder has to be proved by the prosecution to be in possession of pecuniary resources or property disproportionate to his known sources of income, at any time during the period of his office. Such possession of pecuniary resources or property disproportionate to his known sources of income maybe his or of anyone on his behalf as the case may be. Further, he would be held to be guilty of such offence of criminal misconduct, if he cannot satisfactorily account for such disproportionate pecuniary resources or property. The Explanation to Section 13(1)(e) of the Prevention of Corruption Act elucidates the words “known sources of income” to mean income received from any lawful source and that such receipt has been intimated in accordance with the provisions of law, rules, orders for the time being applicable to a public servant. From the design and purport of clause (e) of sub-section (1) to Section 13, it is apparent that the primary burden to bring home the charge of criminal misconduct thereunder would be indubitably on the prosecution to establish beyond reasonable doubt that the public servant either himself or through anyone else had at anytime during period of his office been in possession of pecuniary resources or property disproportionate to his known sources of income and it is only on the discharge of such burden by the prosecution, if he fails to satisfactorily account for the same, he would be in law held guilty of such offence. In other words, in case the prosecution fails to prove that the public servant either by himself or through anyone else had at any time during the period of his office been in possession of pecuniary resources or property disproportionate to his known sources of income, he would not be required in law to offer any explanation to satisfactorily account therefor. A public servant facing such charge, cannot be comprehended to furnish any explanation in the absence of the proof of the allegation of being in possession by himself or through someone else, of pecuniary else, of pecuniary resources of property disproportionate to his known sources of income. Vasant Rao Guhe v. State of M.P., (2017) 14 SCC 442. The provisions of Section 10 (7) of the Prevention of Food Adulteration Act (similar to Section 38(7) of the Food Safety and Standards Act) are mandatory. It is obligatory under Section 10 (7) of the PFA to call for one or more independent witnesses. Only if the independent witnesses are not ready to corroborate the version of the Food Inspector will he be relieved from the compliance of the mandatory provision of Section 10 (7) of the PFA. Radhey Shyam v. State of U.P., 2018 (104) ACC 70. “The term interlocutory order is a term of well known legal significance and does not present any serious difficulty. It has been used in various statutes including the Code of Civil Procedure, Letters Patent of the High Courts and other like Statutes. 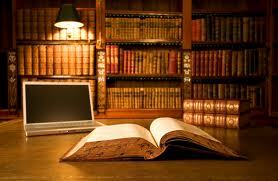 In Webster’s New World Dictionary “interlocutory” has been defined as an order other than final decision. Decided cases have laid down that interlocutory orders to be appealable must be those which decide the right and liabilities of the parties concerning a particular aspect. The term interlocutory order in Section 397 (2) of the CRPC has been used in a restricted sense and not in any broad or artistic sense. It merely denotes orders of a purely interim or temporary nature which do not decide or touch the important rights or the liabilities of the parties. Any order which substantially affects the rights of the accused, or decides certain rights of the parties cannot be said to be an interlocutory order so as to bar a revision to the High Court against that order. Yogish Arora v. Smt. Jennette Yogish Arora, 2018 (129) ALR 339. The only practical difference between a “next friend” and a “guardian ad litem” that the next friend is a person who represents a minor who commences a lawsuit; guardian ad litem is a person appointed by the court to represent a minor who has been a defendant in the suit. Before a minor commences suit, a conscious decision is made concerning the deserving adult (next friend) through whom the suit will be instituted. The guardian ad litem is appointed by court and whereas the next friend is not. The next friend and guardian ad litem possess similar powers and responsibilities. Both are subject to control by the Court and may be removed by the Court if the best interest of the minor so requires. Nagaiah v. Smt. Chowdamma, 2018 (129) ALR 285. Fraudulently obtained order of appointment or approval can be recalled by the authority concerned. In such cases, merely because the employee continued in service for a number of years, on the basis of fraudulently obtained order, cannot get any equity in his favour or any estoppels against the employer/authority. When appointment or approval has been obtained by a person on the basis of forged documents, it would amount to misrepresentation and fraud on the employer. It would create no equity in his favour or any estoppel against the employer to cancel such appointment or approval since “Fraud and justice never dwell together.” Committee of Management v. State of U.P., (2018) 1 UPLBEC 610. An employee is entitled to subsistence allowance during an inquiry pending against him or her but if that employee is starved of finances by zero payment, it would be unreasonable to expect the employee to meaningfully participate in a departmental inquiry. Access to justice is a valuable right available to every person, even to a criminal and indeed free legal representation is provided even to a criminal. In the case of a departmental inquiry, the delinquent is at best guilty of a misconduct but that is no ground to deny access to pension (wherever applicable) or subsistence allowance (wherever applicable). UCO Bank v. R.S. Shukla, 2018 (2) ESC 372.